Zeke and I have been dreaming of relocating to the Caribbean for years (we’re still determined to make it happen someday) and now we’re getting to live vicariously through Zeke’s sister, Andi, as she makes the move to St. Thomas. 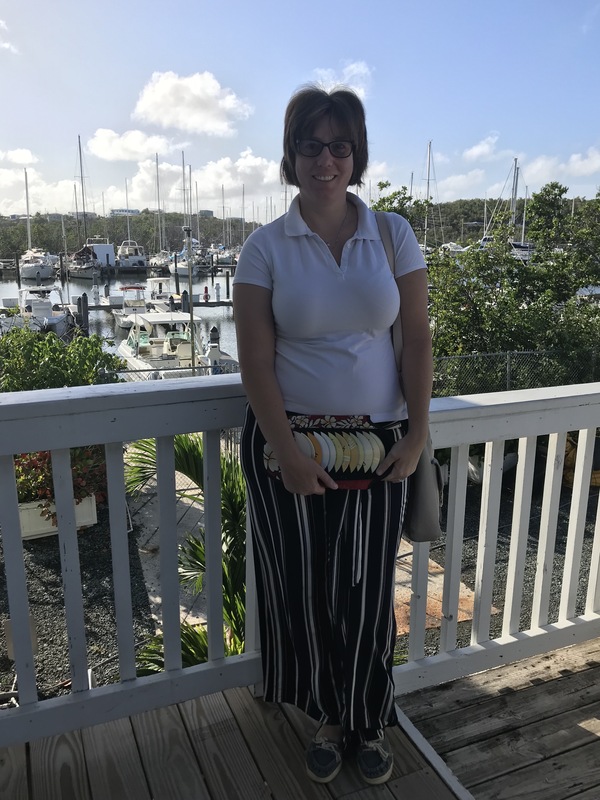 Andi accepted a position as a history teacher at the Antilles School. She’ll have her first students in a little over a week. 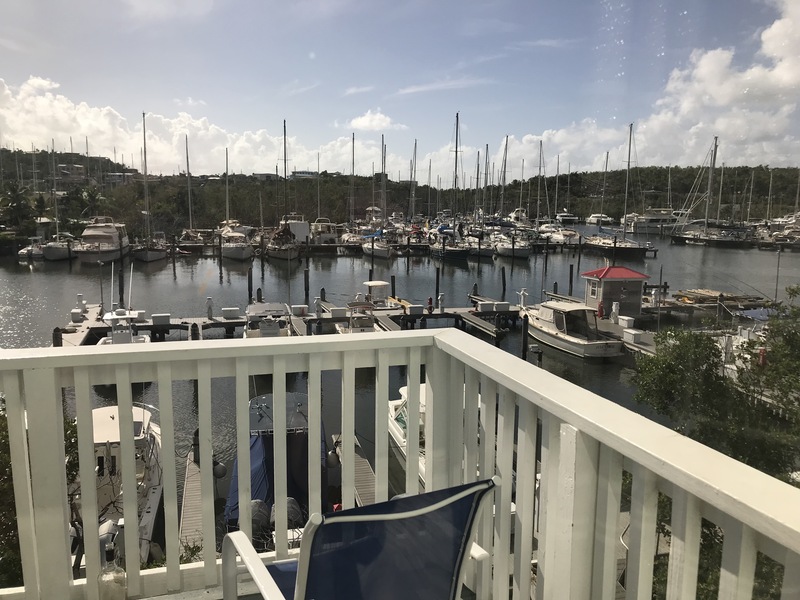 I came down with her a little early to try to get her settled in her furnished apartment overlooking one of St. Thomas’ marinas. It takes a lot of work to make a move like this. Andi and her husband flew down a couple of months ago for a very productive visit, finding the apartment and buying an island car. Now it’s time to make the place feel like home. But first, Andi needed to attend a full day of orientation at her new school. 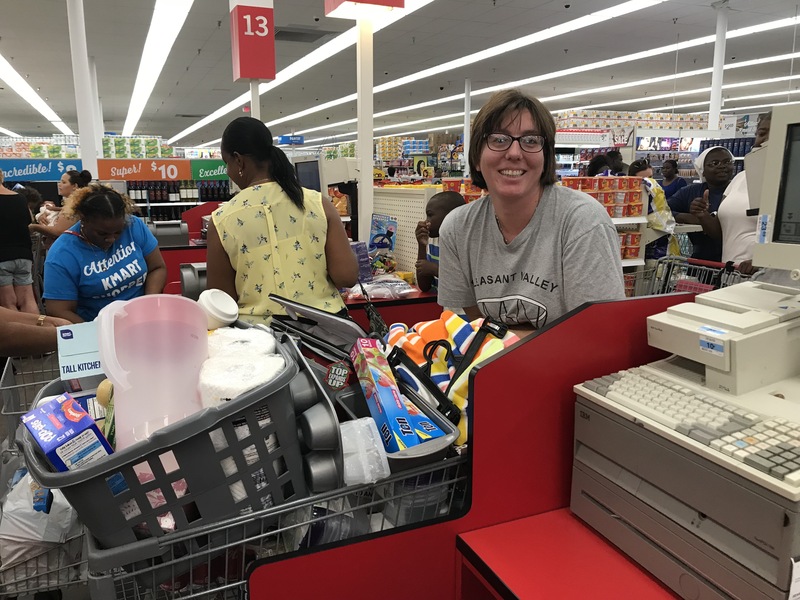 We found ourselves on a shopping spree this weekend, buying basics like paper towels, bottled water and beach chairs along with classroom supplies like pencils, construction paper and bulletin board letters. It was quite the cart-full. Now our goal is to relax and enjoy the weekend (and practice driving that Explorer on the left-hand side of the road) before she goes back to school to get ready to welcome her students on Monday. We’re proud of and excited for Andi as she starts this new adventure. She’s definitely living our dream!